So do the offerings at the Café! Our new chef, Matt, has recently made some very exciting changes to our menus. Whether you join us for a quick weekday breakfast, a business meeting over lunch, or weekend brunch with friends and family, you’re sure to find a new favorite dish that’ll leave you thinking about the next time you can dine with us! Chef Matt put a tremendous amount of energy into making sure the new menu has something for everyone. 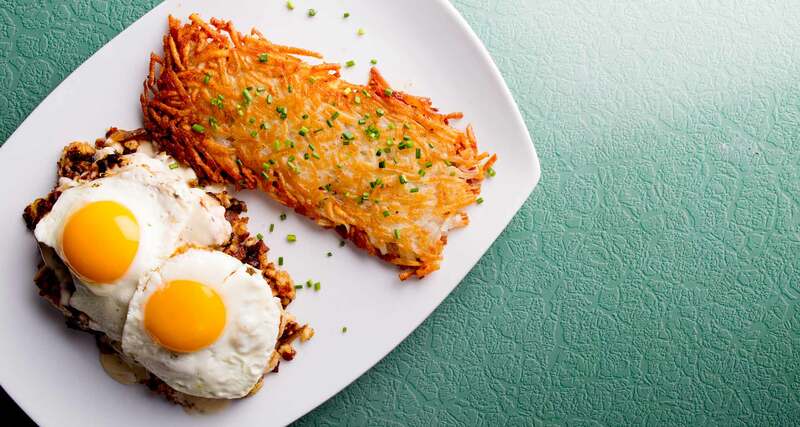 Sure, you can still get our best-selling Classic Eggs Breakfast, but many diners are enjoying delightful new dishes like Beef Brisket Empanadas with Mexican Fried Rice or the crispy Chicken Caesar Sandwich. By taking what he learned from working at some of the best fine-dining restaurants in New York City and his hometown of Milwaukee, Chef Matt has brought big city flavors to our charming Café…at very reasonable prices! We’d love to have you join us for breakfast (7-11am M-F), lunch (11am-2pm M-F), or brunch (7am-2pm Sat/Sun). And we’re big fans of food pics – so be sure snap a shot & tag your posts #cafeattheplaza to let us know what you think of the new dishes!